San Jose International Airport (SJC) began as a flight school, with 1 runway and 1 hangar. By 1965, it had expanded into a municipal airport. SJC never lost its academic roots and in the 1980’s was one of the first airports to participate in a pilot study of noise abatement to reduce aircraft noise to nearby residences. Looking for an Air Freight Quote for San Jose? Air freight forwarding agents are always available to discuss your air freight needs. SJC is the smallest of the 3 major airports in the Bay Area. It has 3 runways, and 59% of its traffic is commercial. Renovations are underway at SJC with plans to expand existing terminals due to be completed by 2010. 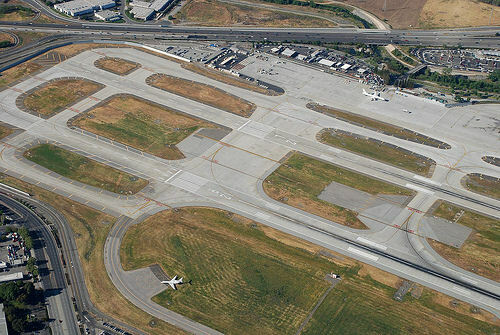 Because of SJC’s urban location, there is not room to expand the footprint of the airport itself.